When You Think About it, 40 out of 100 listings are not sold in Stockton. We will buy your house for cash. In this article we are going to discuss the reasons why houses in Stockton don’t sell and why Real Estate Listings Expire. Believe it or not selling a house has more to do with the honesty of the professionals that you hire than you. If most real estate agents were just honest with their clients about the house selling basics, houses values and current state of the housing market this wouldn’t happen. When we make the decision to sell our homes, we all want to sell for top dollar and if we look at the sales data of similar homes within the past 90 days, within a 1/4 mile radius of our house that are in the same condition you can get a pretty good idea of house value. But as long as real estate agents continue to gloss over the realities of the condition and location of your house and simply buy listings hoping another agent will sell the house, the trend will continue. So here are the facts. Over 40% of all real estate listings by real estate agents do not sell within their initial listing period of on average 180 days. Its a number that no one wants to talk about and it will never be mentioned by a realtor when they discuss what they can to to sell your house. At the end of the day it doesn’t matter because chances are if you are a homeowner that needs to sell a house and listed with a real estate agent your house will sit for an extended period of time and eventually expire. So if Expired Listings soar above 40 Percent in Stockton, Manteca, Modesto and Sacramento what does that really mean for house sellers in Stockton? It means that the homeowner needs to be diligent and know the market. It means that the seller needs to be realistic and not just offer the listing to the real estate agent that recommends the highest price. In fact, it means that the seller may not want to list the house with a real estate agent at all. Sellers need to look at the big picture and determine how much that they are going to receive from the sale of the house after all of the expenses are tallied. Those expenses include Holding Cost, Commissions paid to real estate agents, Closing cost and repair and maintenance cost for the entire time that the house remained unsold. My name is Peter Westbrook and I am a local Cash Home Buyer and owner of Westbrook REI. Unfortunately, I am very familiar with expired listings and the holding cost that homeowners accumulate and endure while their houses linger without so much as an offer on the Sacramento real estate market. The dirty little secret that 40% of all homes listed by real estate agents go unsold is kept safe by the industry, but you do not need to become a victim. I can’t tell you the number of times that a homeowner have said to me that they wished that they knew I was an option before they signed a long listing agreement that cost them thousands of dollars. All too often that is the case, as real estate agents don’t fully explain the process of selling a house and what can go wrong or the risks associated with the house not selling or even what the chances are that the house will end up an expired listing. Many real estate agents will promise what cannot be delivered by claiming to be able to sell the house for a higher price than they know is possible and then scramble days before the listing expires hoping to make a fast sale. It does not work. 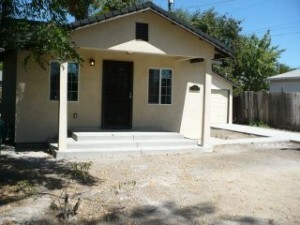 If you need to sell your house fast in Sacramento, Stockton, Manteca or Modesto, CA. you can bypass the Multiple Listing Service roulette wheel by targeting the right buyer for your house to begin with. 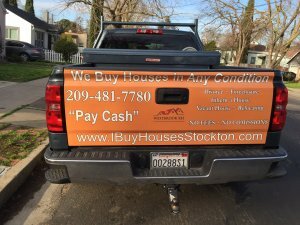 We Buy Houses in Stockton and we pay cash. Call me at (209)481-7780 or visit my website at http://www.IBuyHousesStockton.com and fill out the short form to see what we will pay for your house.